That's a wrap for the 2018 - 2019 deer season. Below you'll see the preliminary harvest numbers and information provided by the IDNR. I would like to thank all those that contributed their pictures of their harvest. Firearm deer season has come to an end. Muzzleloader only is this coming weekend. If you harvest a deer this weekend, send in your photos to capitoloutdoors@gmail.com and you could be featured in next week's numbers. 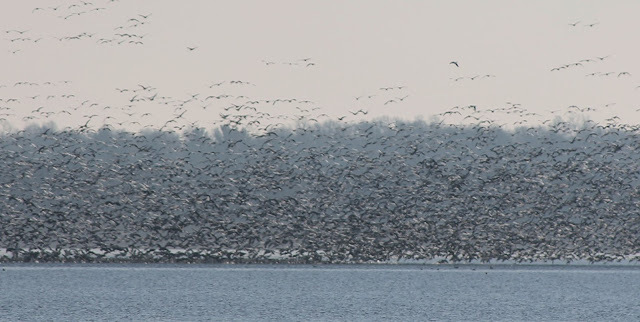 This is a great opportunity for you to hunt Emiquon Nature Preserve. We have taken the opportunity and have had the luck of hunting at this preserve. Application Date is fast approaching! It may be hot outside right now, but hunting season is just around the corner. The cool mornings and crisp air with be here before you know it. You'll be watching your dog retrieve those downed birds before you know it. 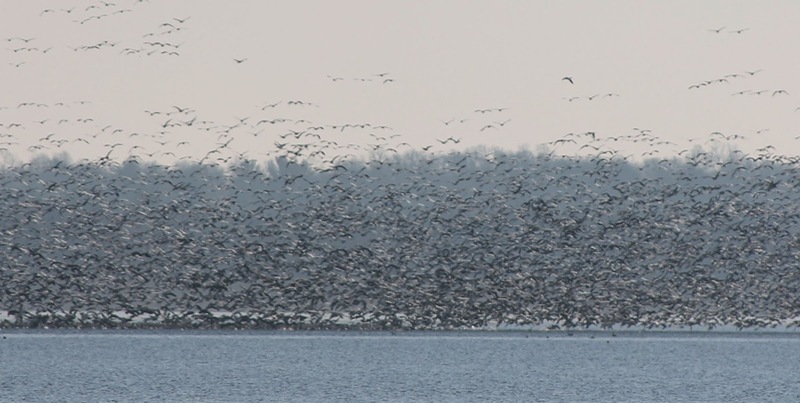 The Emiquon Preserve is private property owned and managed by the Illinois Chapter of The Nature Conservancy for ecological purposes. Waterfowl hunting is being offered as a public service. For this hunting program at the Preserve, any and all decisions of Conservancy staff or designees are final, and anyone failing to abide by written rules or instructions from Conservancy staff or designees may have hunting privileges at this Preserve revoked. The Conservancy retains the right to modify these rules and to terminate this program at any time without prior notice. Applicants do not choose their hunting site, instead The Nature Conservancy will assign hunting sites and provide a map to those who are successfully selected. 2. Email above to csmith@tnc.org or mail to Illinois Rivers Program Office, 11304 N. Prairie Road, Lewistown, IL 61542. 3. Applications must be received by October 3. Drawings will be on October 4. Notification by October 12. 4. Individuals should only apply once listing all dates they want to hunt. 5. Registering by phone is not permitted. 6. Failure to include all information may disqualify you from the drawing. October: 27, 30. November: 1,3, 6, 8, 10, 13, 15, 17, 20, 22, 24, 27, 29. December: 1, 4, 6, 8, 11, 13, 15, 18, 20, 22, 25. Youth Date: October 20 and 21. Disabled Individuals Dates: November 2, 16 and 30 December 14. 2. 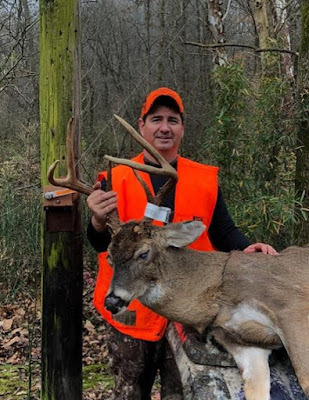 Each hunter must individually sign in on the “2018 Daily Hunter Harvest Register” located at a small shed in the Visitor Use Area just east of state Routes 78/97 and about one-half mile north of Dickson Mounds Museum Road prior to hunting. After hunting each person must individually sign out and record their harvest in the “2018 Daily Hunter Harvest Register”. Failure to sign in and out could make you ineligible for future hunts. 3. Hunting will be allowed only in areas designated by Conservancy staff. Hunters must stay within their pre-assigned hunting areas and within 166 yards of their stake and must remain a minimum of 200 yards from any other group. 4. Parking is allowed only at designated areas on the Preserve. Participants may drive only on established/marked roadways. Parking is allowed only on the east side of Clark Road. Note: Parking for each site is limited to a maximum of 4 vehicles. 5. If unable to make your hunting date that you were drawn for, you must notify us within 48 hours so we can fill your site. Failure to notify us could make you ineligible for future hunts. 6. Currently the Conservancy does not charge a fee for public waterfowl hunting at this Preserve. Becoming a member of the Conservancy is encouraged. 7. Any hunter under 18 years of age must be accompanied by a responsible adult. The responsible adult assumes liability for all actions of the minor and must accompany said minor at all times while on the Preserve. 8. This Preserve has drainage ditches that may be hidden from view under the water. Always keep in mind the location of ditches. Observe extreme caution when wading in any waters. 9. Only artificial blind materials such as lay outs or camouflage netting are allowed. No person may bring natural blind materials onto the Preserve. There shall be no cutting, breaking or clearing of vegetation. 10. The use of Other Power Driven Mobility Devices (OPDMDs) (utility vehicles, ATVs, Segways, golf carts, etc.) on this property has been assessed in accordance with the Americans With Disabilities Act (ADA) regulations. OPDMDs are prohibited except on disabled individual hunting dates. 11. Hunters must observe all State and Federal waterfowl regulations. Conservancy staff or designees may be present and violations will be reported to the Conservation Police. 12. The following are prohibited: Gas-powered motors (not even on the boat); unnecessary shooting or shooting at targets; possession of alcohol; dumping of ashes, trash, garbage, chemical waste or other materials; camping; fishing; and open fires. 13. Collecting and/or removing the following are prohibited: rocks, plants, fossils, plant materials, animals (other than legally taken waterfowl), and artifacts. 14. Law Violations or failing to abide by written rules or instructions from Conservancy staff or designees constitutes trespassing and may cause hunting privileges to be revoked. 15. These rules and regulations are subject to change without notice. 16. Only registered watercraft allowed on the lake. 17. Respect the privilege of hunting on this private property and the rights and safety of fellow hunters. Remove all spent shotgun casings and litter from your hunting site. 18. All gear must be removed from the Preserve each day. 19. Hunting ends promptly at 12:00 noon and hunters must vacate the Preserve by 1:00 PM. · It is approximately 6 miles to the nearest hospital—Mason District Hospital in Havana (309.543.4431 or dial 911). 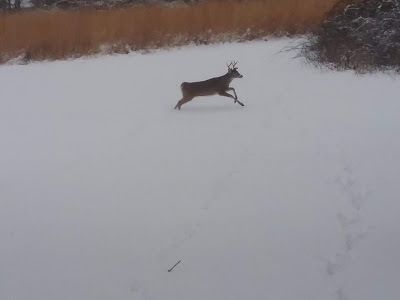 · To contact Illinois Department of Natural Resources Conservation Police call Fulton County Sheriff at 309.547.2277. · For additional information, contact the Illinois Rivers Program Office at Emiquon 309.547.2730 during office hours (Monday through Thursday). Governor Signs HB 4231 and HB 5317 into law. 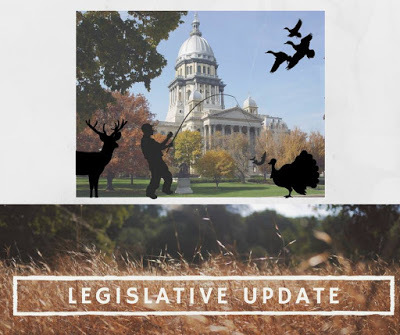 Springfield, IL - Today, Governor Rauner signed two hunting related bills into law. Alongside DNR Director Rosenthal, the Governor signed HB 4231, Blaze Pink Clothing Bill and HB 5317, Wildlife Restiatution Bill. Waterfowl organizations along with the President of the Illinois Federation Outdoor Resources (IFOR) and other members met at the Migratory Waterfowl Hunters Inc. (MWH) building in Alton, Illinois to discuss the proposed rule changes regarding waterfowl blind material. This proposed rule is currently in front of JCAR with the possibility of a vote being taken on August 14th. JCAR is ‘a bipartisan legislative oversight committee authorized to conduct systematic reviews of administrative rules for state agencies.’ To fully understand the gravity of the issue at hand, you should know about the JCAR process. This past weekend thousands of waterfowl hunters and enthusiasts attended waterfowl blind drawings across Illinois and how many of them received information from the DNR related to this new proposed rule regarding waterfowl blinds? Most likely, very few people received any information about this. If you recall we informed you of this when it was first introduced as legislation and it has since been filed as an administrative rule that is going through the JCAR process. During the first notice period, public comments are sent to the DNR related to the new rule. From the DNR 2nd Notice report you can see how many comments were sent in. How many comments were received? Following this proposal going on first notice, the Department received 382 comments regarding the proposed change. 380 comments were in opposition to the original proposed change, one comment in support of the change, and one commenter’s position was unknown. Anticipation is jumping out of the water for high school anglers this week, especially those that have made it to State. Having to sit in class thinking about, what to throw, where to go, and most of all if a pattern will develop and hold for the duration of the IHSA State Finals must be daunting. 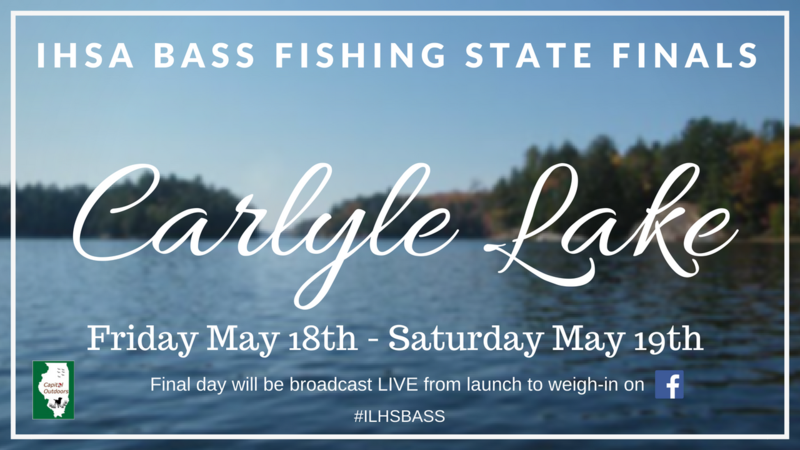 I'm sure a few anglers will be on their computers or cell phones throughout the day checking out Fishidy, Youtube and anything else that will help give them the competitive edge this weekend. Both the House and Senate were busy in their respective chambers this week. Below you will see the action taken on the outdoor related bills we are following. Click on each link to read more about each bill. Amended to change to one member of the Endangered Species Board shall be a landowner representing the State's largest general farm organization. Creates a two year study on supplemental feeding of deer. University of Illinois College of Veterinary Medicine in consultation with the DNR will conduct the study. DNR is neutral on the bill as a pilot program. Allows for electronic fishing and combo licenses. Allows the DNR to manage the River Otter population by allowing the department to set the limit based on research. 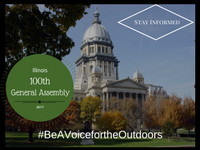 Be sure to check back often so that you can stay informed from the Legislative Floors to the Great Outdoors! Replaced the introduced bill. Amends the Herpitles - Herp act by allowing trapping of snapping turtles. Amends the Wildlife Code. Provides that it shall be unlawful for any person to trap or to hunt with gun, dog, dog and gun, or bow and arrow, gray fox, red fox, raccoon, weasel, mink, muskrat, badger, bobcat, and opossum except during the open season which will be set annually by the Director to start between 12:01 a.m., November 1 and 12:00 midnight on November 10, and close no earlier than 12:00 midnight on February 15 but not later than 12:00 midnight on March 31, with start and close dates both inclusive (rather than between 12:01 a.m., November 1 to 12:00 midnight February 15, both inclusive). Deletes a provision providing that the season limit for river otter shall not exceed 5 river otters per person per season. Provides that any person who violates the provisions of the Section, including administrative rules, shall be guilty of a Class B misdemeanor. With the primary election in their rear view mirror and the general election around the bend, Illinois legislators are back in Session this week (April 9 - 13th). Both the House and Senate are holding committee hearings where some outdoor related bills may be heard. We will be following along and keeping you up to date as things happen, so be sure to "Like" our Facebook page to get the latest information. Below you will find each committee broken down with links to more information related to each bill. The following bills are listed to be heard on that day, but that is not always the case. We will do a wrap-up at the end of the week to inform you of what happened. The second year of the 100th GA has begun with legislators filing new bills left and right. Below you will see a list of all the new pieces of legislation related to hunting and fishing. Amends the Wildlife Code. Raises the fair market value or replacement cost of various species protected by the Act. Provides that a person who possesses whitetail antlered deer, in whole or in part, captured or killed in violation of the Act, shall pay restitution to the Department of Natural Resources in the amount of $1,000 per whitetail antlered deer and an additional $500 per antler point, for each whitetail antlered deer with at least 8 but not more than 10 antler points. Provides that for whitetail antlered deer with 11 or more antler points, restitution of $1,000 shall be paid to the Department per whitehead antlered deer plus $750 per antler point. Defines "point". Effective immediately. Provides that a permit for incidental taking under the Act shall not be required if a federal conservation agreement, including but not limited to, a candidate conservation agreement, habit conservation plan, or safe harbor agreement, that includes conservation practices conducted in this State in effect and approved by the United States Fish and Wildlife Service under the federal Endangered Species Act of 1973 (in the introduced bill, a permit for incidental taking under the Act shall not be required if a federal conservation agreement, including but not limited to, a candidate conservation agreement, habit conservation plan, or safe harbor agreement, is in effect and approved by the United States Fish and Wildlife Service under the federal Endangered Species Act of 1973). Provides that incidental taking of species which are listed as endangered or threatened by the State only and not listed by the United States Fish and Wildlife Service shall follow the provisions under the Act. Provides that of the remaining appointed members, 1 member shall be a landowner representing the State's largest general farm organization (in the introduced bill, 2 members). 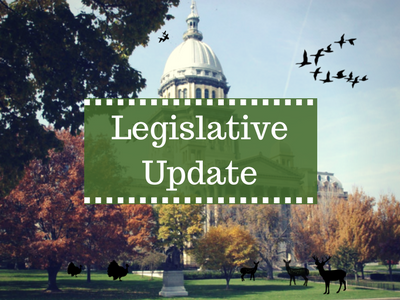 Amends the Illinois Endangered Species Protection Act. Provides that a permit for incidental taking under the Act shall not be required if a federal conservation agreement, including but not limited to, a candidate conservation agreement, habit conservation plan, or safe harbor agreement, is in effect and approved by the United States Fish and Wildlife Service under the federal Endangered Species Act of 1973. Provides that in making Endangered Species Protection Board appointments of naturalists, the Governor shall give consideration to recommendations of conservation groups. Provides that of the remaining appointed members, 2 members shall be landowners representing the State's largest general farm organization. Removes the exemption for notice or public hearing when the Endangered Species Protection Board automatically places a species or subspecies of an animal or plant on the Illinois endangered list after designation as endangered by the U.S. Secretary of Interior. Effective immediately. Amends the Fish and Aquatic Life Code. Provides that residents of this State may obtain a 5-year fishing license. Provides that the fee for a 5-year fishing license is $62.50. Provides that for residents age 65 or older, the fee is one-half of the fee charged for a 5-year fishing license. Provides that for resident veterans of the United States Armed Forces after returning from service abroad or mobilization by the President of the United States, the fee is one-half of the fee charged for a 5-year fishing license. Provides that residents of this State may obtain a 5-year sportsmen's combination license that shall entitle the holder to the same non-commercial fishing privileges as residents holding a license and to the same hunting privileges as residents holding a license to hunt all species under the Wildlife Code. Provides that the 5-year sportsmen's combination license fee shall be $112.50. Provides that no sportsmen's combination license shall be issued to any individual who would be ineligible for either the fishing or hunting license separately. Provides that for residents age 65 or older, the fee is one-half of the fee charged for a 5-year sportsmen's combination license. Provides that for resident veterans of the United States Armed Forces after returning from service abroad or mobilization by the President of the United States, the fee is one-half of the fee charged for a 5-year sportsmen's combination license. Amends the Wildlife Code. Provides that residents of this State may obtain a 5-year hunting license to hunt all species for $52. Provides that for residents age 65 or older and resident veterans of the United States Armed Forces after returning from service abroad or mobilization by the President of the United States, the fee is one-half of the fee charged for a 5-year hunting license. Amend House Bill 5693 on page 1, line 15, by replacing "owner, or the name and "with "owner, or the". Amend Senate Bill 2963 on page 1, line 15, by replacing "owner, or the name and "with "owner, or the". Amends the Wildlife Code. Provides that traps used in the taking of mammals protected by the Code, for which an open trapping season has been established, shall be marked or tagged with metal tags or inscribed in lettering giving the name and address of the owner, or the name and customer identification number issued by the Department of Natural Resources, and absence of such mark or tag shall be prima facie evidence that such trap or traps are illegally used and the trap or traps shall be confiscated and disposed of as directed by the Department. Effective immediately. 4/25/2018 House Chief House Sponsor Rep. Lawrence Walsh, Jr. Amends the Wildlife Code. Deletes language providing that the season limit for river otter shall not exceed 5 river otters per person per season. Effective immediately. 4/19/2018 House Chief Sponsor Changed to Rep. Lawrence Walsh, Jr.